With TC Debbie on our doorstep, the Whitsunday Neighbourhood Centre opened from 9-11am to provide people with vouchers to use towards cyclone preparations. Often when there is a cyclone, people who are already struggling financially or living on benefits have difficulty finding spare money towards cyclone preparation kits. On March 27 amid the heavy rain and winds in the prelude to the cyclone crossing, the Whitsunday Neighbourhood centre distributed vouchers to over 40 families needing cyclone kits. Following TC Debbie, the town had been severely damaged. Many people had lost roofs, windows, fences, sheds and were flooded in the disaster. There was no power, no water and the only point to purchase grocery items was Woolworths Airlie Beach. People were screaming for water due to there being no water supply, ice to stock their eskies and fuel to power generators. The town was flooded in with Myrtle Creek/ Proserpine River breaking it’s banks along with Goorganga Plains. The Whitsunday Neighbourhood Centre had been advised that due to the region being isolated by flood waters, there was little chance for the Recovery Centre operated by Department of Communities, Child Safety and Disabilities to open in the foreseeable future. With that in mind, staff and volunteers had a small working bee to make the premises in Cannonvale safe for the public and coordinated with Proserpine Community Centre staff and volunteers to operate from a shop front in Proserpine Main street. A total of $7400 in fuel and food vouchers was provided to locals on Saturday 1 April 2017, 4 days after the cyclone crossed the coast. 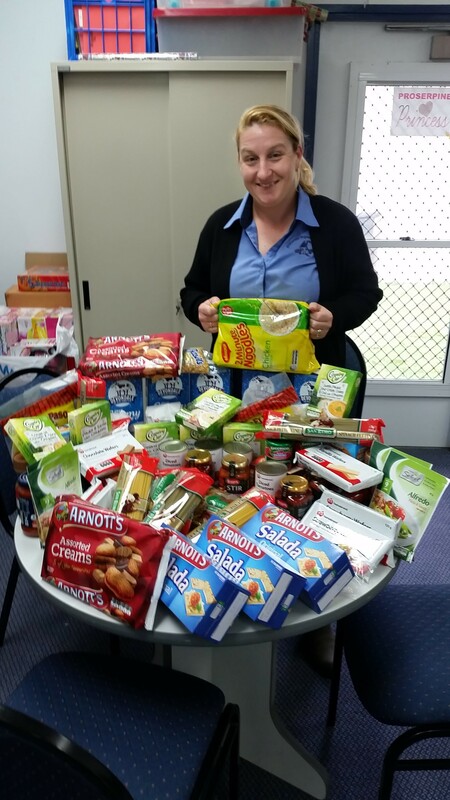 This helped to assist 110 families in Proserpine and Cannonvale/ Airlie Beach. 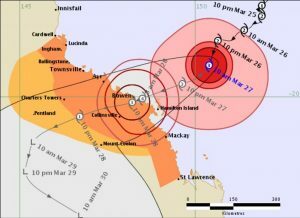 It was at that time that the status of Midge Point Hideaway Bay/ Dingo Beach; and Conway/ Wilsons Beach was unknown and contacts through the Disaster Management Centre in Proserpine showed that the status was still I n question. Since we have had 2-3 trucks head into these areas with 1 more going to Bowen and distributing to Collinsville. The donations kept coming from across the nation and it became evident that a “hub” for the donations was needed. Many donations were initially knocked back as there was no designated point for collection, storage and distribution. AidTaskers Mackay were one such group, providing essentials and food that were given no indication of where the items could be left. 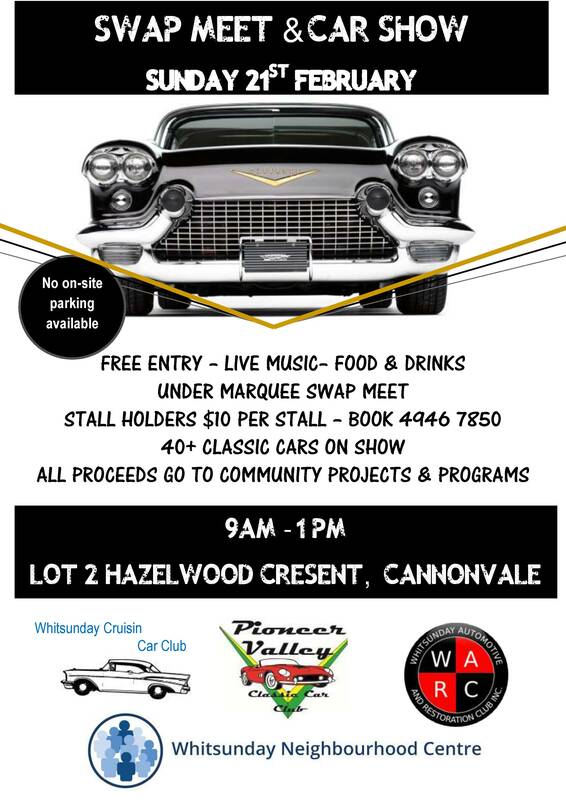 They contacted the Whitsunday Neighbourhood Centre through the Facebook page. The centre then co-ordinated in collaboration for all the donations to be delivered to the Give centre, a location set up by Rotary Club of Airlie Beach – District 9550 and Volunteer Whitsundays Facebook admin to provide a central location for all the donations to be collected, stored and distributed with Rotary coordinating furniture donations in conjunction with Giveit team. For three weeks’ residents could gain access to these donations and make life easier during the difficult clean up and rebuild of the area. 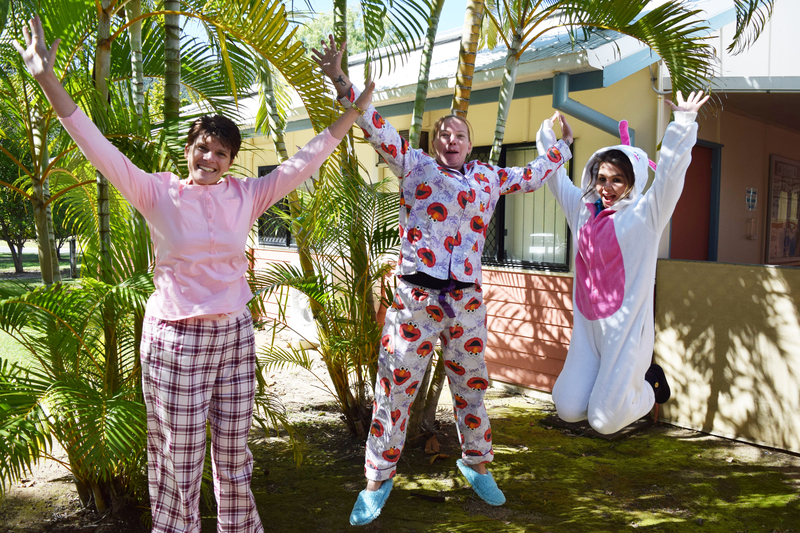 Over the course of 17 days the Whitsunday Neighbourhood Centre provided assistance to 259 applications from families, couples and individuals and more. 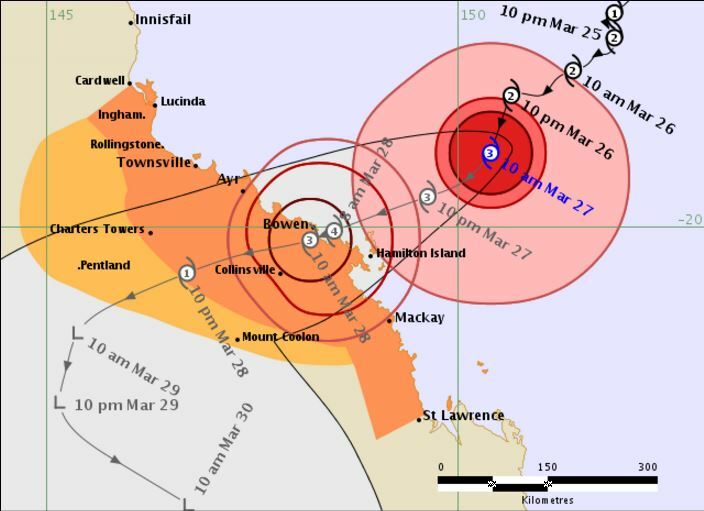 TC Debbie made landfall as a massive Category 4 cyclone spending hours lashing the Whitsunday coast in its path.